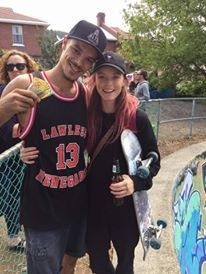 The 15th Annual West Hobart Bowl Jam is set to be the biggest and best yet, this year its over two days. $3000.00 prize monoey for the opens & $1000.00 prize money for the girls. Prizes in all other divisions, prizes for King & Queen of the bowl and prizes for best trick on Thrasher! If you compete in girls/junirors/masters you can still go in the opens (if you are good enough). Saturday 14th of January, 12pm-2pm, 16 & under. (Prizes). Saturday 14th of January, 2pm, 16 & under presentations. Saturday 14th of January, 2.30pm-4.30pm, Girls ($1000.00 cash). Saturday 14th of January, 4.30pm, Girls presentations. Sunday 15th of January, 12pm-2pm, Masters (over 35) (Prizes). Sunday 15th of January, 2pm, Masters presentations. Sunday 15th of January, 2.30pm -4.30pm Opens. ($3000.00 cash). Sunday 15th of January, 4:30pm-5:30pm Thrasher best trick (prizes). Sunday 15th of January, 5:30pm, Open presentations. 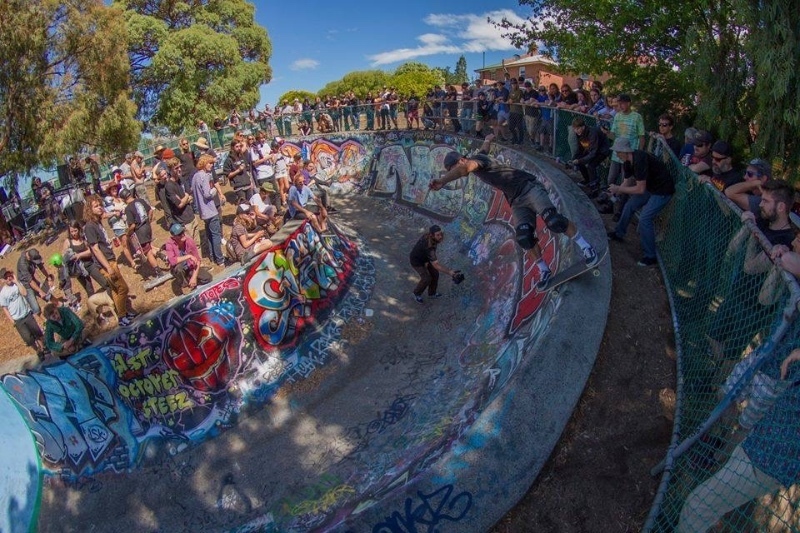 The 15th Annual West Hobart Bowl Jam is set to be the biggest and best yet, this year its over two days. $3000.00 prize monoey for the opens & $1000.00 prize money for the girls. Prizes in all other divisions, prizes for King & Queen of the bowl and prizes for best trick on Thrasher! If you compete in girls/junirors/masters you can still go in the opens (if you are good enough). Times/days etc Saturday 14th of January, 12pm-2pm, 16 & under. (Prizes). Saturday 14th of January, 2pm, 16 & under presentations. Saturday 14th of January, 2.30pm-4.30pm, Girls ($1000.00 cash). Saturday 14th of January, 4.30pm, Girls presentations. Saturday 14th of January, 7.30pm after party (location to be advised) Sunday 15th of January, 12pm-2pm, Masters (over 35) (Prizes). Sunday 15th of January, 2pm, Masters presentations. Sunday 15th of January, 2.30pm -4.30pm Opens. ($3000.00 cash). Sunday 15th of January, 4:30pm-5:30pm Thrasher best trick (prizes). Sunday 15th of January, 5:30pm, Open presentations. Get on it, this weekend! Winners, King & Queen of the Bowl! Bloody rippers, Bodie Jarret and Amiee Massie! Here is the YT quick edit of the girls from colzapaloza.